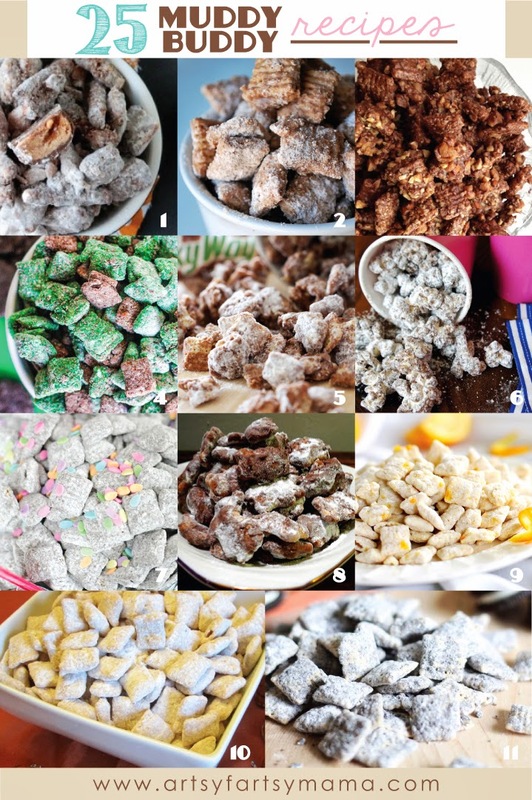 One of the first recipes I can remember making as a child was Muddy Buddies (or also known as Puppy Chow). If you've never tried it (and you really should), it's Chex cereal covered with the perfect mix of creamy peanut butter and melted chocolate, and finished with a nice coating of powdered sugar. Seriously, so good! They are so simple to make, and unfortunately for my hips, very addictive. The basic recipe is easy to manipulate to create new flavors and to add some surprises. They are fun to make with your kids - and easy for them to learn to make themselves. 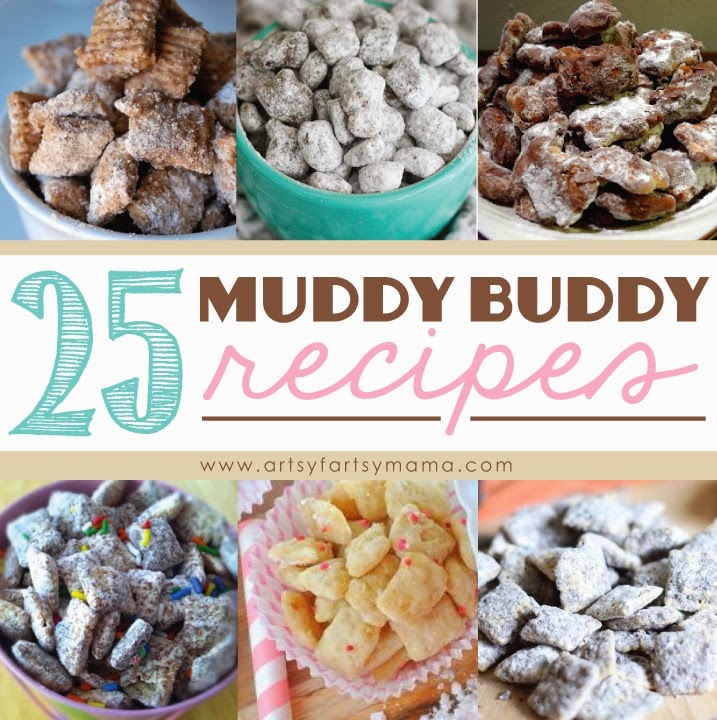 Today, I'm sharing 25 unique Muddy Buddy recipes to get your mouth watering! 10. 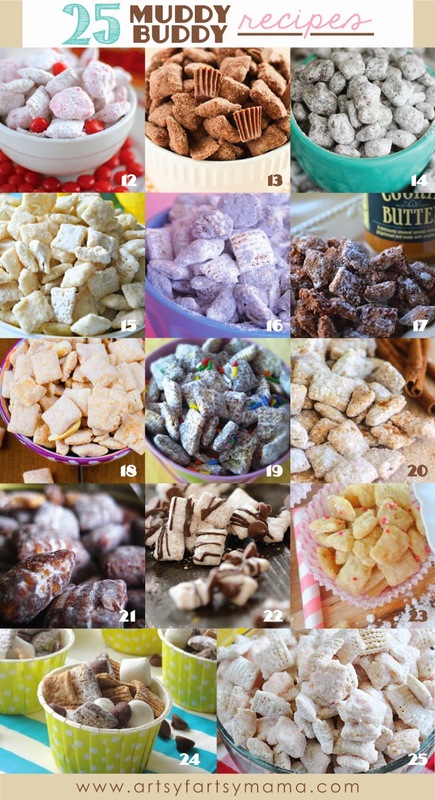 Pumpkin Pie Muddy Buddies by What's Cooking, Love?